When the Boston Foundation launched its Latino Legacy Fund in 2013, the community foundation envisioned a new hub for grants to serve a local demographic that arguably hadn’t been getting its fair share of philanthropic dollars. Since then, the fund has backed a variety of programs that support a group now comprising more than 20 percent of Boston’s population. 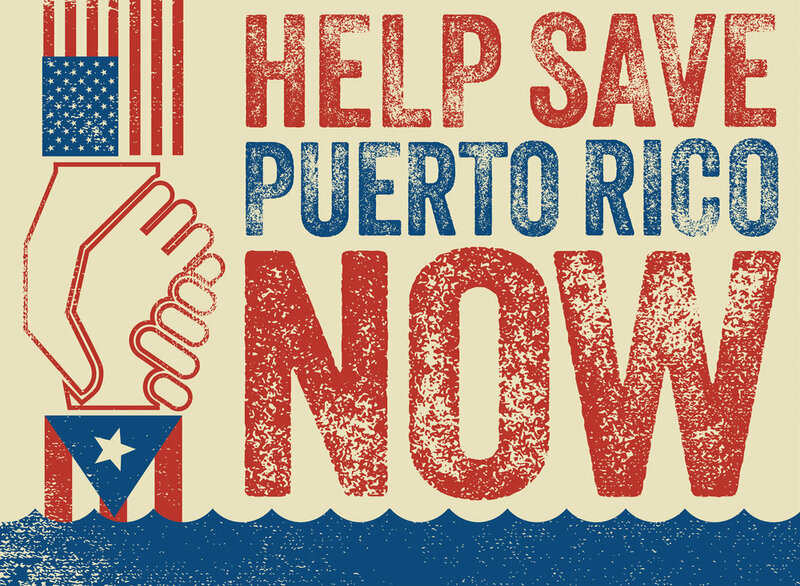 In the wake of the devastation Hurricane Maria wrought in Puerto Rico, the Latino Legacy Fund has been leading the charge on a relief effort that brings together support from many sectors, with prominent Puerto Ricans in the lead. It's called the Massachusetts United for Puerto Rico Fund, and it has raised over $2 million to date. This effort deserves a closer look at a moment when most Puerto Rican households are still without power and struggling to meet basic needs more than six weeks after Hurricane Maria devastated the island. While the inadequate federal response has gotten lots of attention, there are also questions about whether philanthropy has done enough. The short answer is "no." Although Puerto Ricans have suffered much more hardship than the residents of Houston after Hurricane Harvey, the charitable response to their plight hasn't come close to what followed in Harvey's wake. But the news on this front hasn't been all bad. As we've reported, quite a few corporations have now come forward to provide assistance to Puerto Rico. We’ve also looked at how the arts funding community, including prominent figures like Lin-Manuel Miranda, have been stepping up in Puerto Rico’s time of need. And while there haven't been any high-profile national fundraising efforts to help the island, other smaller initiatives have gotten traction and raised money—including the one in Massachusetts. Announced by Boston mayor Marty Walsh nine days after Maria struck the island, Massachusetts United for Puerto Rico is a partnership between the Latino Legacy Fund and the Commonwealth’s Puerto Rican community, represented by a 15-member advisory committee. The committee approves grants in collaboration with Boston Foundation staff and includes representatives from the nonprofit sector, business, healthcare, media and academia. The Boston Foundation reports that about a quarter of the city’s Latino population identifies as Puerto Rican. In the weeks following Maria, Massachusetts United raised funds at a brisk pace, exceeding its initial $1 million fundraising target in about a week. Major supporters include the the MassMutual Foundation, the Tufts Health Plan Foundation, Thomas Melendez and Aixa Beauchamp, MFS, EOS Foundation, Massachusetts General Hospital, Brigham Health, Spaulding Rehabilitations Network, Partners Healthcare, and Steward Healthcare System LLC, as well as the Boston Foundation itself. Beauchamp, a noted local philanthropist, serves as president of the advisory committee. Over 1,500 individual donors also contributed to the pot. Both Boston Mayor Marty Walsh, as mentioned, and Massachusetts Governor Charlie Baker have voiced their support for the initiative. When it comes to disaster relief fundraising, support tends to fall off after an initial outpouring of support. Massachusetts United takes that into account with a plan to roll out grants throughout 2018 for reconstruction and economic recovery on the island. The fund will also support resettlement efforts in Massachusetts for people displaced by the storm. The fund’s initial grants, which came through in early October, focused on immediate relief efforts. There was an element of intersectionality to those initial outlays, some of which went to Puerto Rican organizations focused on women’s empowerment and environmental preservation. That tracks pretty well with the Boston Foundation’s philanthropic profile. While most of the community foundation’s grantmaking tends to be local, it covers a broad array of issue areas and leverages lots of partnerships across Greater Boston. Typically, the foundation makes about $100 million in grants every year and has been among the city’s largest funders. Notably, while it maintains no distinct ideological bent, the Boston Foundation has been more than willing in 2017 to support vulnerable groups like Boston’s immigrants, Muslims, and LGBTQ community. Boston’s response to the Puerto Rico crisis offers a reminder that this city has a relatively cohesive philanthropic community. TBF has contributed to that over the past decade, since charting a more ambitious civic leadership role. The dividends that come from knitting together different sectors and players are especially apparent when crises come along and demand quick action.